Melbourne is an eclectic city that is arcade aplenty, and home to great coffee. 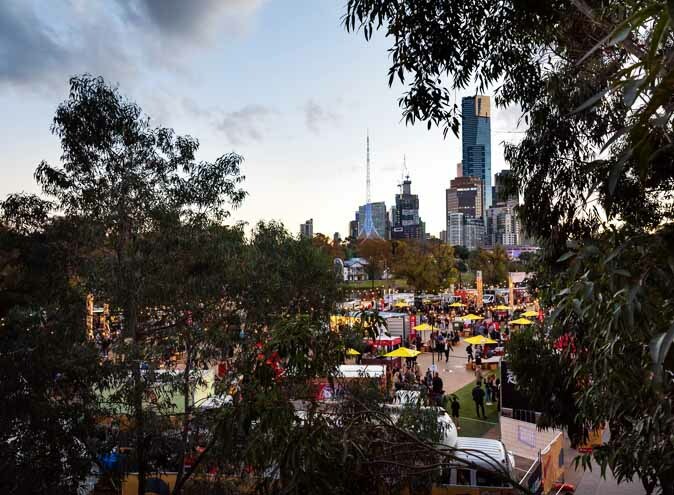 Ranked as the world’s most liveable city six years running, Melbourne’s current population sits at over 4.5 million and is set to soar in years to come. In addition to spiralling arcades and delectable coffee, Melbourne is synonymous with cutting-edge and innovative architecture. 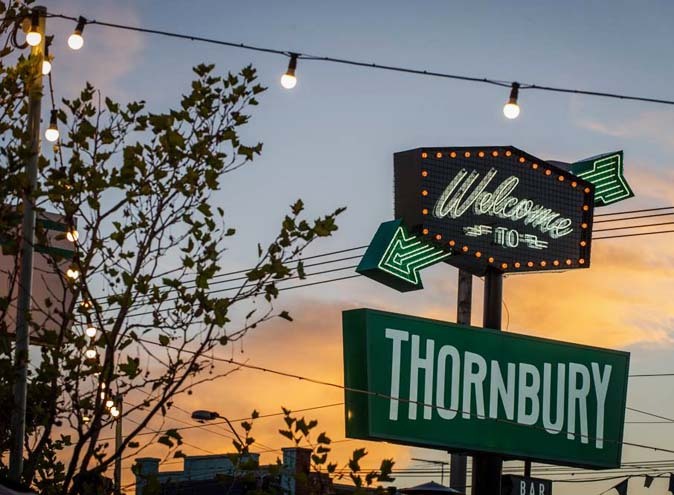 We hereby present to you, in our humble opinion, Melbourne’s best architecture hotspots. 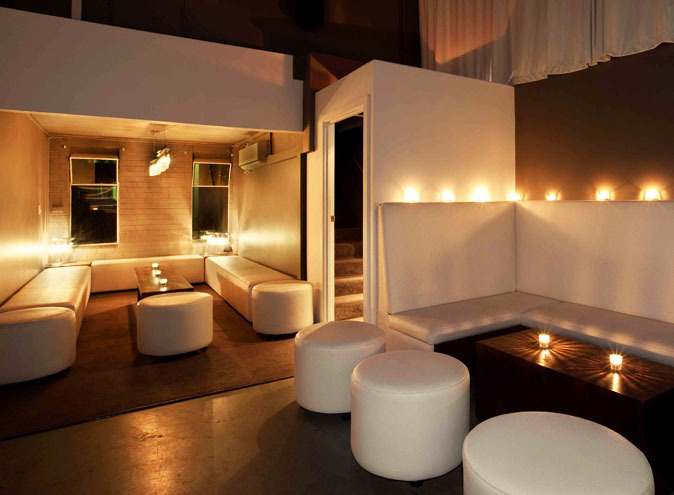 Located on the corner of Swanston Street and Flinders Street, Federation Square is at the hub of Melbourne’s CBD, arts and sports precinct. 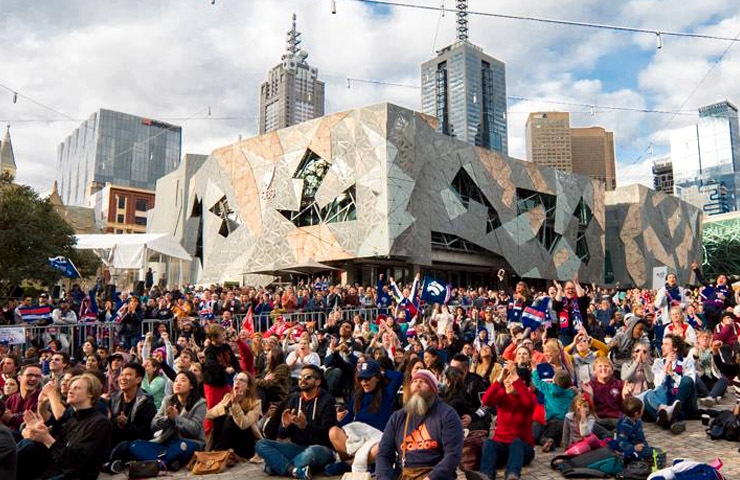 With so much to see and do here, it’s no surprise that Federation Square takes up the entire size of a city block-that’s 38,000 square metres to be precise. The main open-air square, which is oriented to the west, is surrounded by a complex of buildings which form a U-shape. Paved in 47,000 ochre-coloured sandstone blokes, the main square is iconic and serves as the meeting place of choice for many Melburnians. Federation Square earns its title as one of Melbourne’s five top architecture hot spots as it incorporates a series of unique and intricate design features, including an atrium, a riverfront area and three shards which frame the square space. 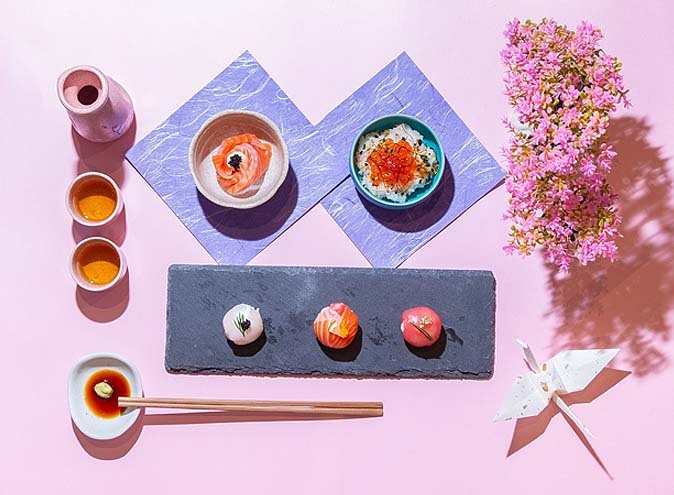 Extra points must be awarded for its extraordinary array of restaurants and bars. QV, the redevelopment of Melbourne’s historic Queen Victoria Women’s Hospital, is an urban village situated on the corner of Swanston Street and Lonsdale Street. 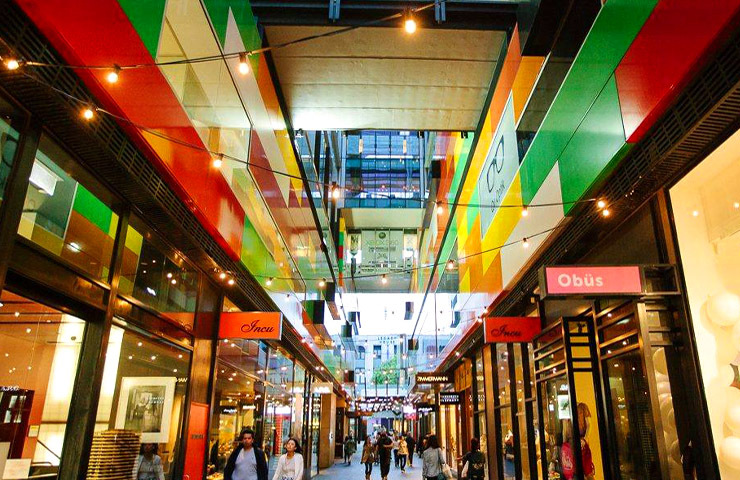 Divided into a number of pedestrian precincts and inspired by the Melbourne laneways model design, QV offers premium fashion and beauty brands to satisfy all retail cravings, endless dining options and convenient CBD parking. 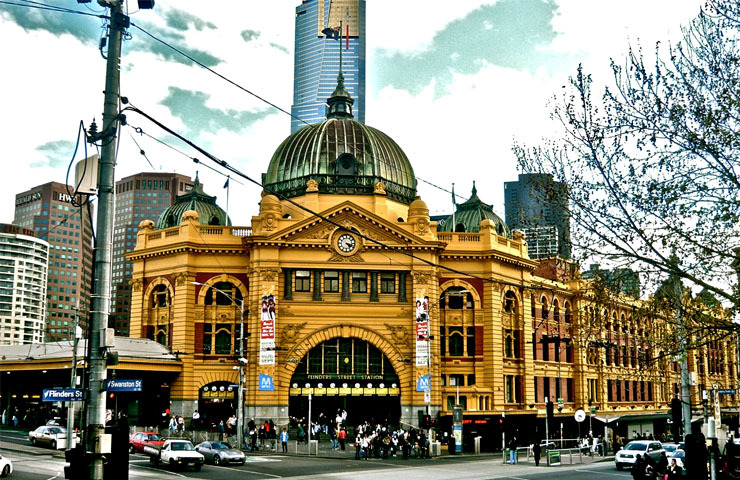 With more than 150,000 commuters passing through each day, Flinders Street Station is your gateway to Melbourne. Constructed between the years of 1905 and 1910, Flinders Street station is situated at the heart of the Central Business District and stretches across an entire city block. Boasting extravagant archways and a grand ballroom, the station is arguably one of Melbourne’s most iconic architectural hotspots, and is representative of the importance of railways to the development of the city and its surrounding suburbs. 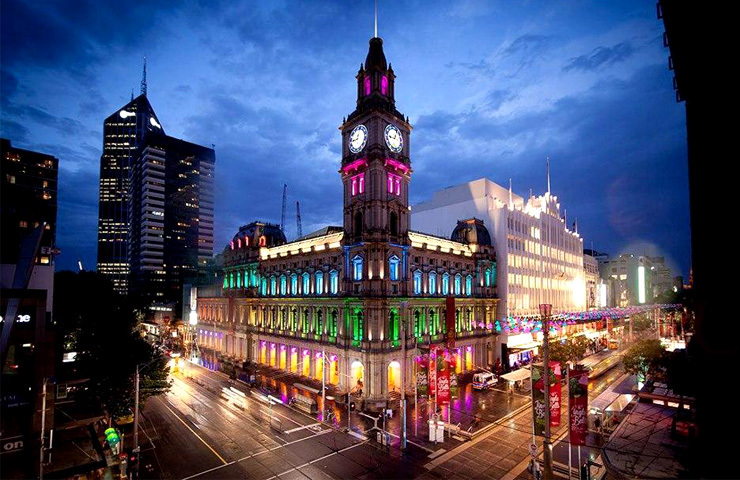 Originally serving as the General Post Office for Victoria, the GPO is situated on the corner of Elizabeth and Bourke Street in Melbourne’s Central Business District. The building, which is listed on the heritage registers of both the Commonwealth and the state of Victoria, is renowned for its multifaceted architecture. Classical in design, you will find Doric columns in the first level, ionic columns in the second, and Corinthian columns in the third. Additionally, the building features elements from various architectural styles, including 15th century renaissance, 16th century, French second empire and Baroque revivalism. Not only is the GPO a fave Melbourne architecture hotspot, but it is also home to some amazing retail stores and eateries. Winning. 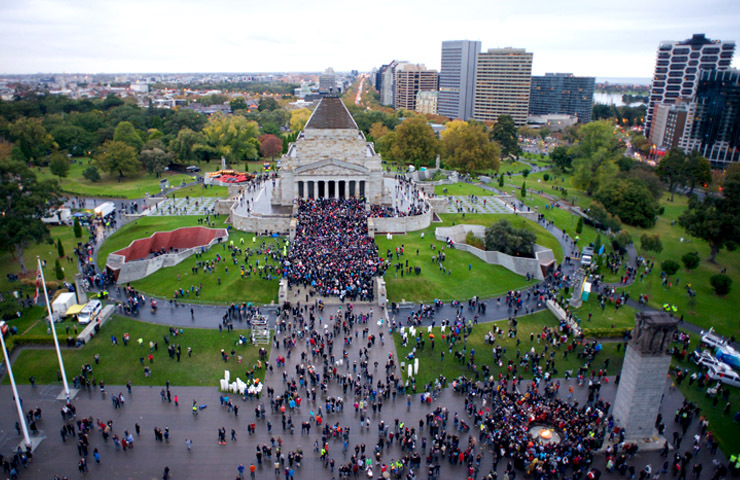 Located in Kings Domain on Saint Kilda Road, the Shrine of Remembrance was built as a memorial to the men and women of Victoria who served in World War I and was officially dedicated on 11 November 1934. Several elements contribute to the value of the classically derived design of the Shrine-that is its Australian-sourced materials, prominent siting and strong axiality from all directions and specific details. Drawing on classic Greek influences, the Shrine features a stepped pyramidal roof form, Doric columned porticoes and balconies at the upper levels. The Shrine of Remembrance earns our vote as one of Melbourne’s top five architectural hotspots for its architectural importance. Did you know that, during the years, of 1925 and 1941, the Shrine was one of seven memorials to be erected?